KJIPUKTUK (Halifax) - If you're heating your home with wood pellets in Nova Scotia, chances are you've experienced product shortages over the winter of 2014-15. Reports of sell outs, line-ups, and hour-long drives to find that elusive timber product have filtered in from across the province. And while mainstream media is apt to blame all of this on the abnormally long Maritime winter, and while producers are apt to cry out that demand is simply outstripping supply, this is not at all the full story. Rather, it is more so a symptom of the gross mismanagement of the Nova Scotia forests, where massive tonnage and acreage allocations have been handed over to a few, large-scale, industrial players. The average consumer might be left imagining that there is a product shortage, for all the empty shelves where sacks of wood pellets used to be. But to portray the slice of the wood pellet pie left over for home-consumers as being representative of the whole is just shoddy journalism and wrongly filters a public's upset over the shortage onto the slumped shoulders of Mother Nature, rather than the bureaucratic mishandling of the forests. Although the stoves that burn the pellets are electric, wood pellets are marketed as an economical and ecological alternative to home heating with oil. 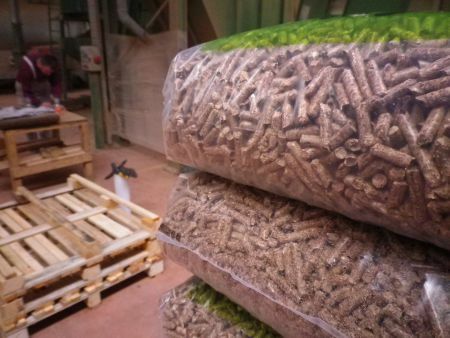 When the pellets are sourced from local mill “by-products”, like sawdust and bark, one might say that they are a 'value-added' product and indeed are an ecological choice for home heating. That is, when they are actually available. When Maureen Reid, spokeswoman for Shaw Resources' 'Eastern Embers' line of wood pellets, earlier in the year told the CBC that more than ninety five percent of the year's production of Nova Scotia wood pellets remained in the Atlantic region, she was probably correct. Eastern Embers is one of Nova Scotia's largest producers of wood pellets available for home-consumers. Despite repeated attempts, Eastern Embers was not available for comment on total production numbers, in terms of tons of wood pellets produced per year. Even still, without knowing exactly how much tonnage of pellets the company is producing, the overly simplistic argument goes; If Easten Embers is out of pellets, then demand is simply outstripping supply. Lost in the narrative, however, is that the top-dog of Nova Scotia wood pellet production, Viridis Energy Inc. (Viridis), through its subsidiary Scotia Atlantic Biomass Company (Scotia Atlantic), has a production capacity of 120,000 metric tons per year, of which it claims it hit 90,000 metric tons of production in 2014. Scotia Atlantic, through Ekman and Co. (Ekman), moves the pellets overseas to fuel the highly-subsidized European 'biomass' industry. The 90,000 metric tons of production figure does just about line up with Scotia Atlantic's much-hyped three cargo ships full of wood pellets that were earlier sent to Ghent, Belgium, meaning that about none of these Scotia Atlantic's wood pellets stayed in-province. On-line discussion groups suggest that the average home use is about 4-6 tons of wood pellets per year, meaning that theoretically about 17,000 more Nova Scotian households could have heated their homes with those 90,000 Europe-bound tons. In late 2014, Scotia Atlantic signed a three year contract extension with Swedish-based exporter Ekman, with which it had earlier signed a two-year deal for 240,000 metric tons total. European biomass-burning, touted as a green, renewable source of electricity, has many problems attached to it; the least of which is that there aren't enough trees in Europe to fuel demand. Biomass Magazine notes that European industrial demand for wood pellets shows no sign of slowing down, with North American exports having reached 4.7 million tons in 2013, up fifty percent from 2012 and more than double the export totals from 2011. 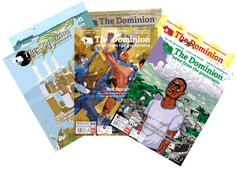 While the majority of exports currently come from the southern United States, Nova Scotia is poising itself to play its own little part in the game. In April, 2014, the Nova Scotia government provided Scotia Atlantic with $500,000 in incentives to upgrade its Upper Musquodoboit plant. In July, 2014, Halifax Grain Elevator Ltd (Halifax Grain), announced that it would invest “up to $1,000,000” in Scotia Atlantic. Halifax Grain is one of the “dominant grain handling and storage provider[s]” at the Port of Halifax facility, from where the Europe-bound cargo ships laden with Scotia Atlantic-produced wood pellets departed. Perhaps most disconcerting of all was an October, 2014, announcement from the Nova Scotia Department of Natural Resources (DNR), in which the department released its ten-year fibre allocations on western Crown Lands in the province. Based on “estimated sustainable harvests”, Scotia Atlantic received a primary allocation of 50,000 green metric tons (tonnage with moisture content in wood included). At the time, critics complained that the DNR was entirely non-transparent with its allocation process, going to far as to ignore its own in-house biologists who had earlier identified ecologically-sensitive lands in the Crown Lands. Famously, Paul Arp, a top forestry professor at the University of New Brunswick, helped to prepare a soil nutrient management tool for the DNR. When Arp then asked to see the final product, DNR denied him access to it. In effect, this meant that the DNR gave the green light to Scotia Atlantic to harvest standing trees for the direct purpose of producing export-bound wood pellets. This is a far cry from even producing export-bound wood pellets from “by-products” like sawdust and bark collected from other mills, which in itself is problematic enough for the domestic market and creates the illusion of “natural” or “seasonal” shortages. Instead, what we will likely soon see is a new shortage for so-called “biomass”, as Scotia Atlantic and Nova Scotia Power's biomass plant compete amongst each other for available standing timber. According to a Woodbridge and Associates report prepared for the provincial Department of Natural Resources in 2011, wood pellet production is amongst the lowest 'value-added' products that can be derived from harvested wood, only a step above shipping out raw logs. Next Week, we'll look at the illusion of scarcity as it pertains to houses that heat with wood-burning stoves.